Last year while driving to a trade show in Utopia Texas I passed by an old sign that said something to the effect of “Hill Country’s Oldest Pet Cemetery”. As I continued to drive on this very long winding Texas road I started thinking to myself how Stephen King ruined it for everybody. His book was good (or the movie) but I hated the idea of our pets coming back as evil. 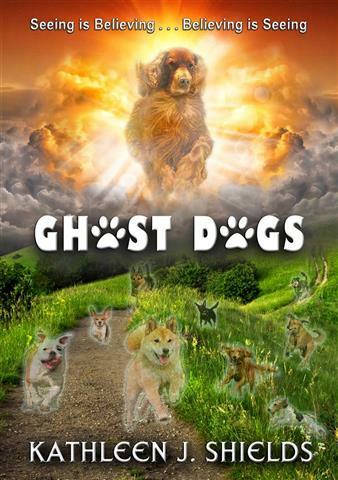 I wanted to be able to go to a pet cemetery and see my pet as a ghost; eager to see me, eager to give me love, and happily wagging his/her tail. I started thinking about all the wonderful things that I could still do with my pet if I could see him as a ghost. Before I knew it a story had started to formulate in my mind. I started considering my character and asking to myself, What would he do with this gift? What sports would he play? What would his friends say? How would he use this gift to benefit his life? And how could he use it to help others? This was the inspiration behind my latest book ghost dogs. One old sign on an back country road – Led to an entire book! That is the Magic of being an Author! !